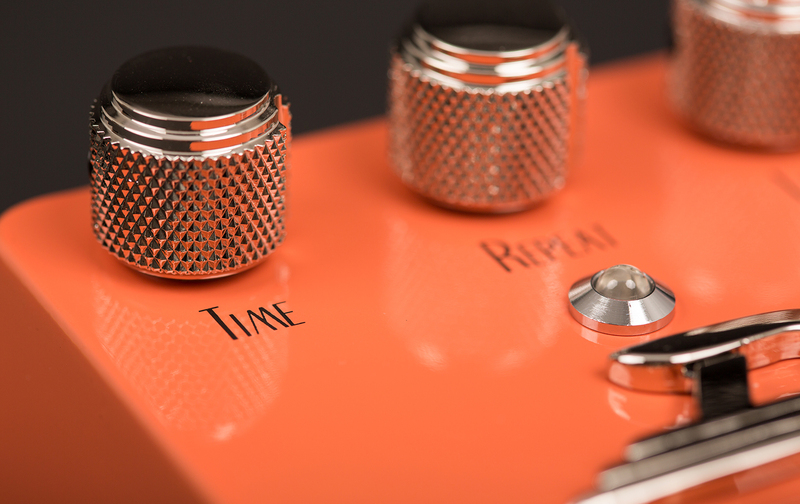 The Red Echo II is an extremely warm sounding delay pedal with up to 600 ms delay time. 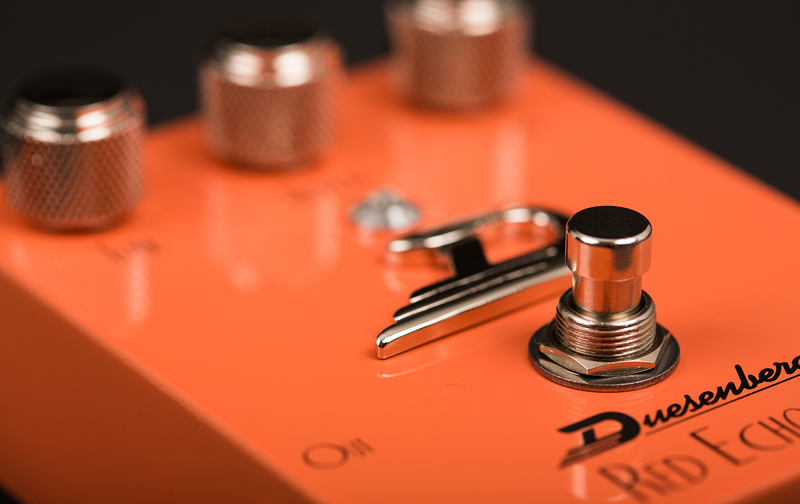 The dry unprocessed signal of the guitar stays completely analogue to prevent any loss of dynamic and clarity. It delivers typical retro sounds. Whether spherical ambience effects on relaxed ballads, short slapback echos for country and rockabilly or the magical driving force behind hot rock solos, the Red Echo II achieves outstanding results with both clean and distorted amp sounds. 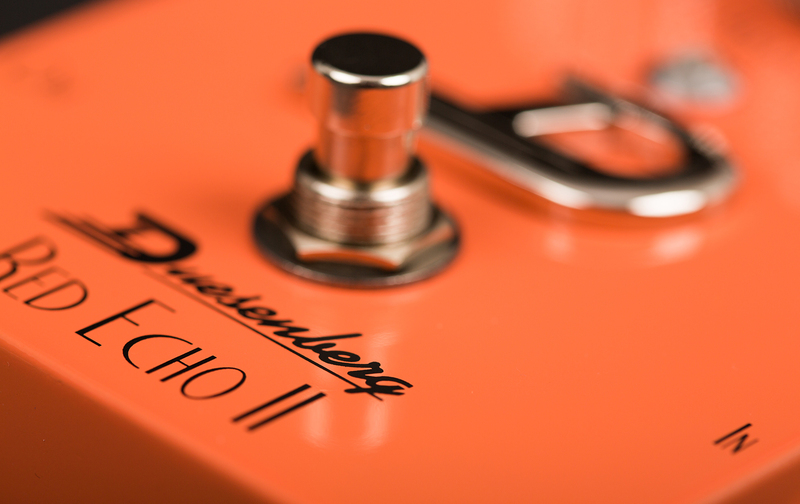 True Bypass electronics ensure that the Red Echo II in its inactivated state remains absolutely sound neutral. 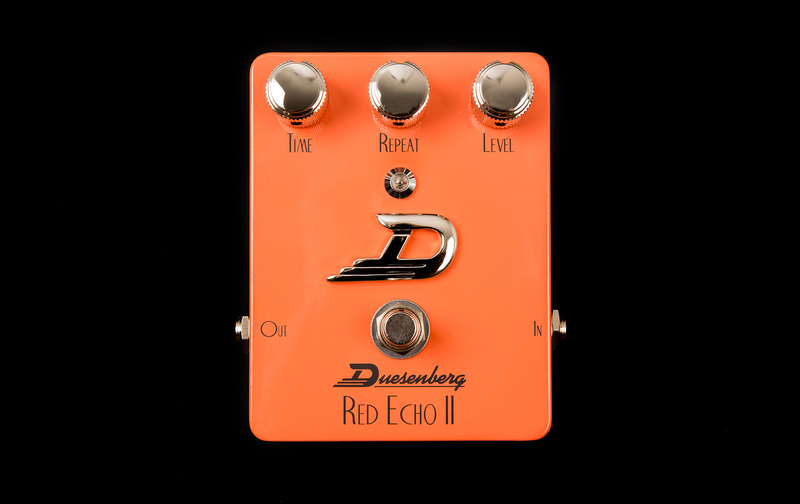 Like all Duesenberg effects, the Red Echo II is built to high technological standards, is simple to use and built to withstand wear and tear on the road.